Proud to work with Rooney Earthmoving on another community project. 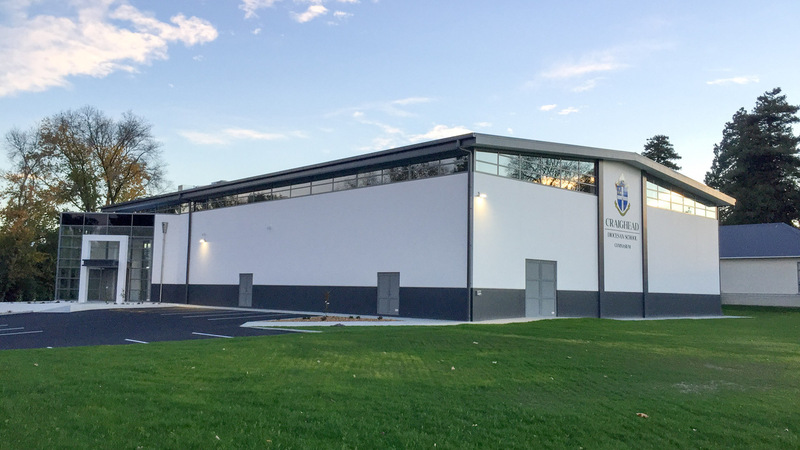 Construction began on the new Craighead Diocesan School Gymnasium in March 2017 and was completed in May 2018. 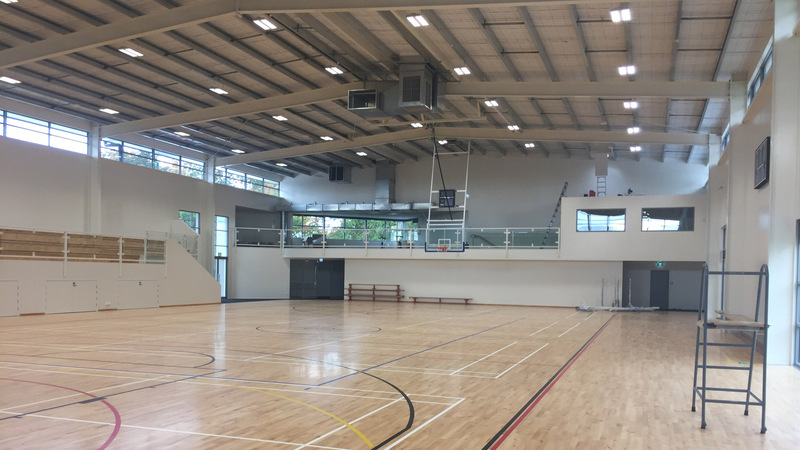 The client came to us with the requirements of a multi-use court, viewing area, sports office, changing room facilities, classroom and refurbishment of their existing gymnasium into a library and classrooms. The combination of precast concrete panels, steel and cross laminated timber, all pre-fabricated prior to arriving on-site ensure a smooth process of assembly. This accurate and efficient system lays the platform for the completion of the entire project within time and on budget. These sturdy structural elements have laid the foundations for what has shaped up to be a superb gymnasium facility. Features include a sprung floor court, climbing wall, bleachers and mezzanine level overlooking the courts. 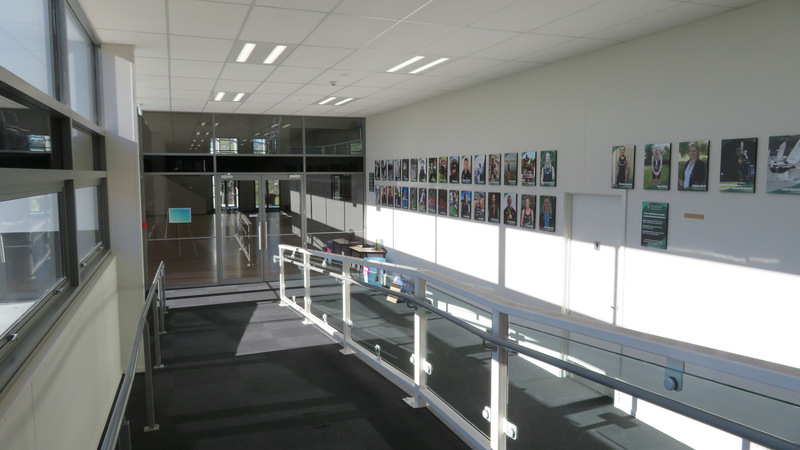 The refurbishment of the adjoining Unwin building has transformed a tired gymnasium into a fresh new library facility that ties in with the new gymnasium. "Thompson has proven itself as a valuable partner across a number of projects for Rooney Group. We continue to be impressed by the team’s attention to detail, expertise and commitment to getting the job done on time and to budget. Vaughan, Craig and the team are easy to work with and are able to consistently meet our expectations, adding value through innovation to every project they have constructed for Rooney Group. 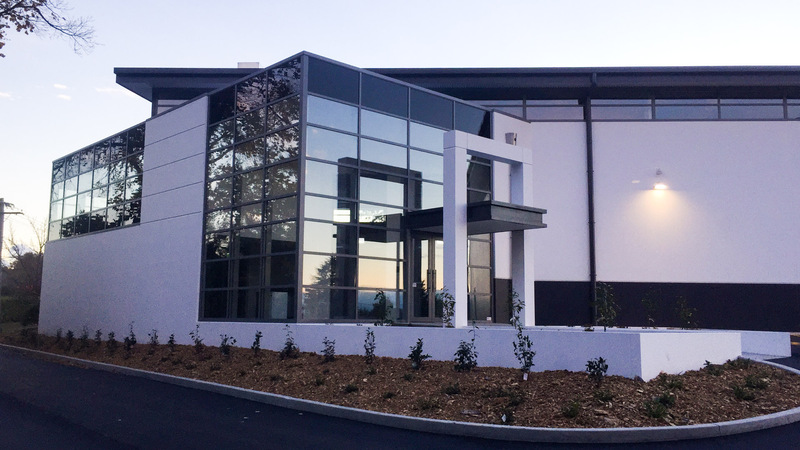 From design right through to moving in, Thompson’s take a cooperative, helpful approach to their customers and subcontractors."